That’s right. Our new traditionalist hero scored his first top five hit with a song that is as much Urban Cowboy as Ride ‘Em Cowboy. Cut him some slack, though. He was a new artist at the time, and this is what records sounded like back then. So it’s no surprise that it did better on the charts than its two predecessors, though it was an easily forgotten footnote in a few short years. This is actually one of my favorite Strait songs. I really get into Strait’s promise(both from how he actually sings it and how it is lyrically presented) to make amends and be the man that he’s never been able to be before. It’s one of the better do right by your women songs I think that has a solid (not great) chorus that catches you and keeps you going along until the next repeat. Ha. 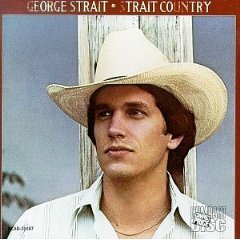 This is one that I’ve always liked of Strait’s, even as a teen. I couldn’t tell you why though.